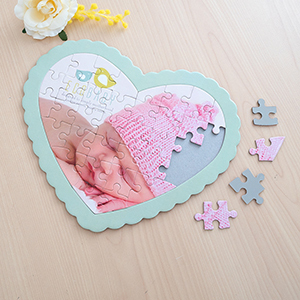 Let your loved ones piece together your love with a framed heart shaped photo puzzle. Comes with a colored standing or hanging frame. 3 ways to show your love. 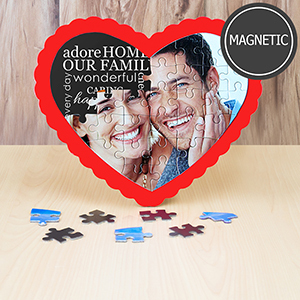 A magnetic puzzle to place on your fridge, a colored frame with a special message and a frame plus photo puzzle for displaying.